As a former online marketer, it was logical for Caitlin Morris, AM '13, to use the internet to find the best social work program. She was attracted to the University of Chicago’s School of Social Service Administration (SSA) because it was where she believed she would have the most flexibility in tailoring her studies to her own interests. 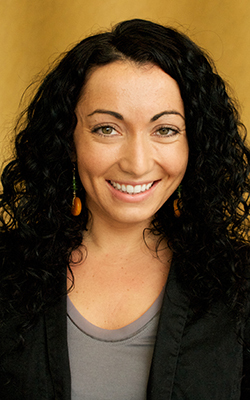 "I wanted a master’s degree that allowed an in-depth exploration of the clinical-direct practice side of social work in addition to social policy and administration. I like the cross-disciplinary collaboration that I've found at the University of Chicago," Morris says. Using the Type-73 Certification / School Social Work and Schools program at SSA as her home base, Morris could often be found at events sponsored by schools outside of SSA, such as the Harris School of Public Policy and Booth School of Business. She formed relationships with other UChicago faculty and staff as a Research Assistant and as an Experiential Education Programs Assistant with the Office of Career Advancement. Morris elected to take courses in the International Social Welfare program of study and tried to adjust her schedule to attend their lunch seminars and related workshops. 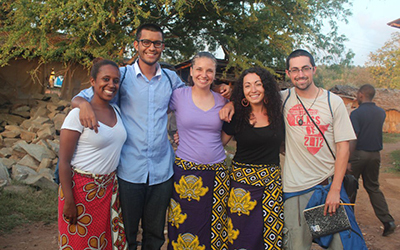 A recipient of SSA's Social Innovation Fellowship, her own international experience includes working in Kenya this past summer where she led American college students through an experiential learning program that partners with local community members to build sustainable social businesses by leveraging their existing resources and talent. The Social Innovation Fellowship supports students doing innovative work in social services. In Morris’ case, the Fellowship requirements aligned nicely with her work and provided supplemental funding. Morris’ experience in Kenya was not her first time working in an international setting. She says that it was teaching in the Marshall Islands from 2009-2010 that first changed her world view. She had been doing account management in a corporate environment when she decided to make a fresh start through the WorldTeach program at Harvard University's Center for International Development. There she learned that although she wanted to work directly with people, being in the classroom would not be enough. "I saw how difficult it was to teach when the challenges of daily living and outside factors such as illness and complicated home situations were affecting my students’ ability to learn and succeed.” It was after this experience that Morris thought she would like to become a social worker to support the whole development of the child and break down the barriers to learning. Her special interest is now in more macro-level educational policy, programming, and administration‑ particularly in creating a positive culture that will enhance achievement on various levels within the school. Her internship at Evanston Township High School built on previous experiences such as an HIV/AIDS case management intern at EdgeAlliance, a youth and family program coordinator at a Chicago YMCA, and an educational coordinator at a university museum. When asked what prospective students should know about SSA, she replies that it is a place that does not require having a future career path that is set in stone. “SSA teaches you how to think critically and creatively--how to ask difficult questions, deal with complex and challenging situations and better work with diverse populations. That type of knowledge and those types of skills are highly transferable and applicable across so many fields. I feel that I have an excellent foundation and the tools needed to go out into the world and dig deeper, explore more and continue learning,” Morris says.